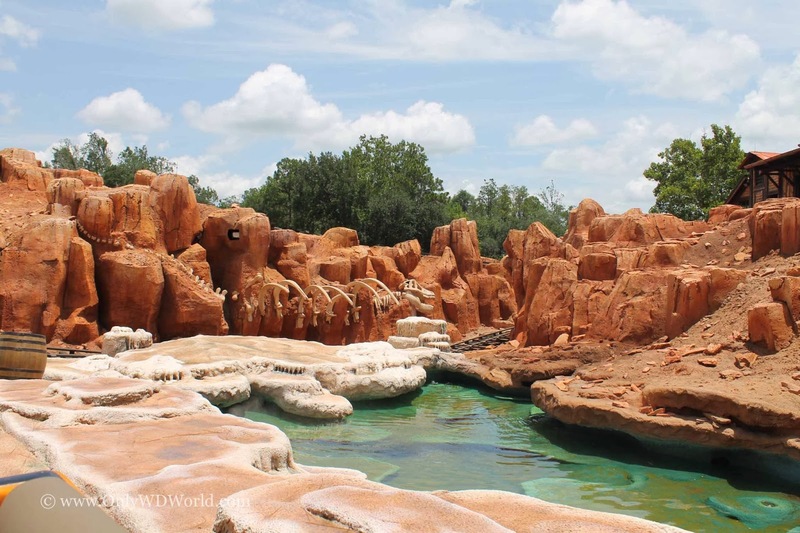 Taking pictures while visiting the Walt Disney World Resort is expected. 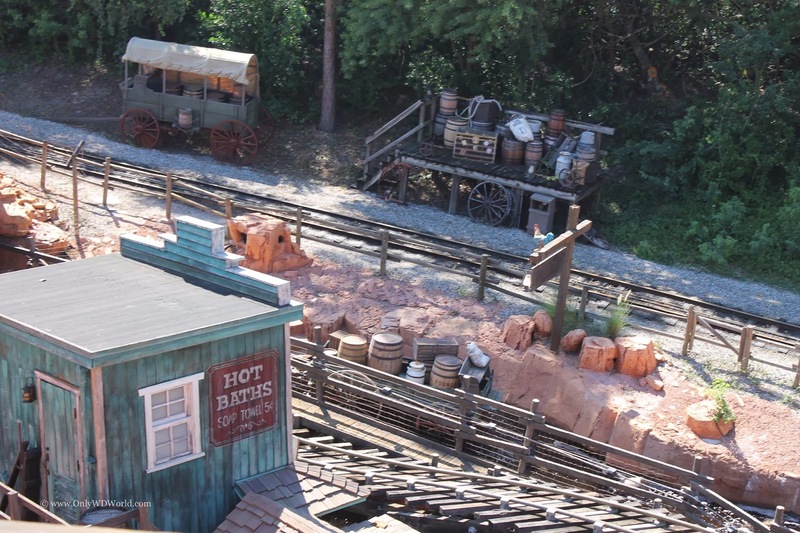 Taking them while racing along in "The Wildest Ride In The Wilderness!" is a challenge. 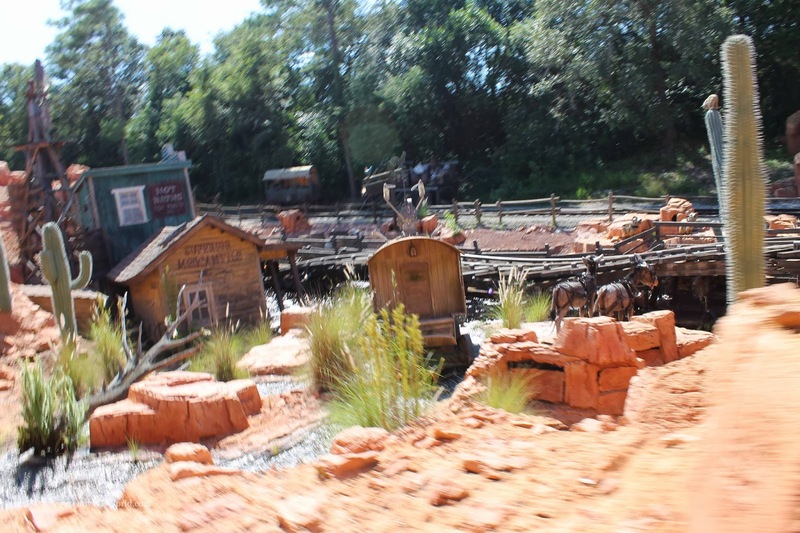 Today we take you along with us for a ride on the Big Thunder Mountain Railroad in the Magic Kingdom. 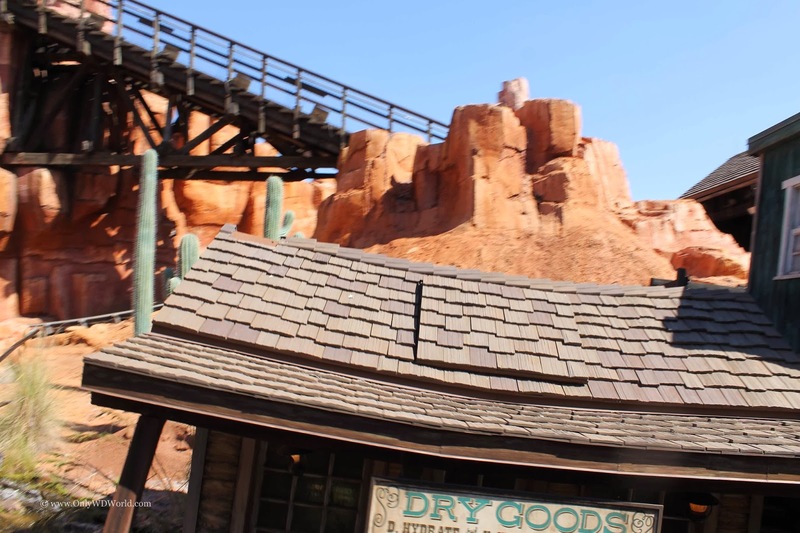 Anyone can take a ride video, but getting a clear picture on a moving roller coaster that goes in and out of darkness and sharp corners is not so easy. 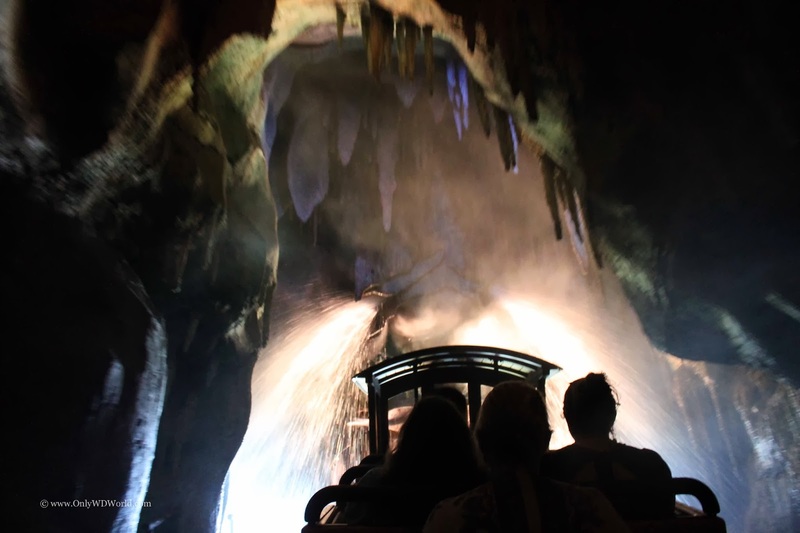 On Big Thunder Mountain Railroad the first section takes you in a cavern where you climb to the top. 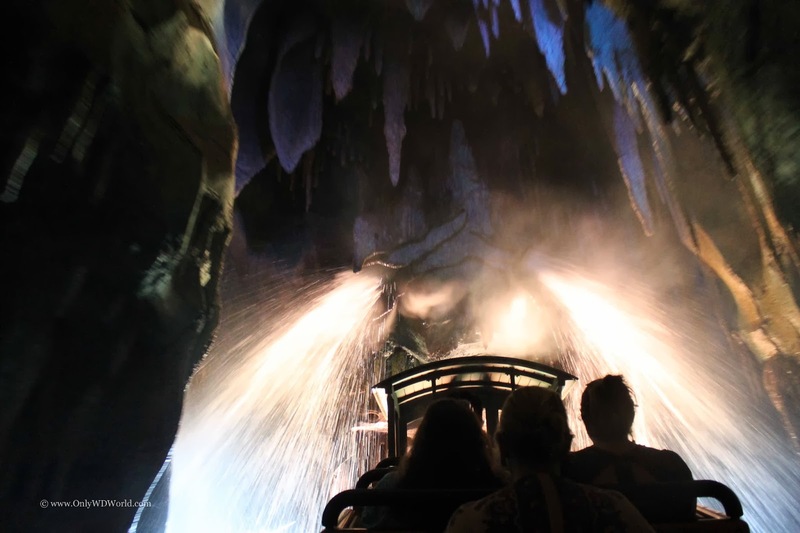 Besides darkness, you also battle the water as you reach the top. Once outside you have an incredible view. 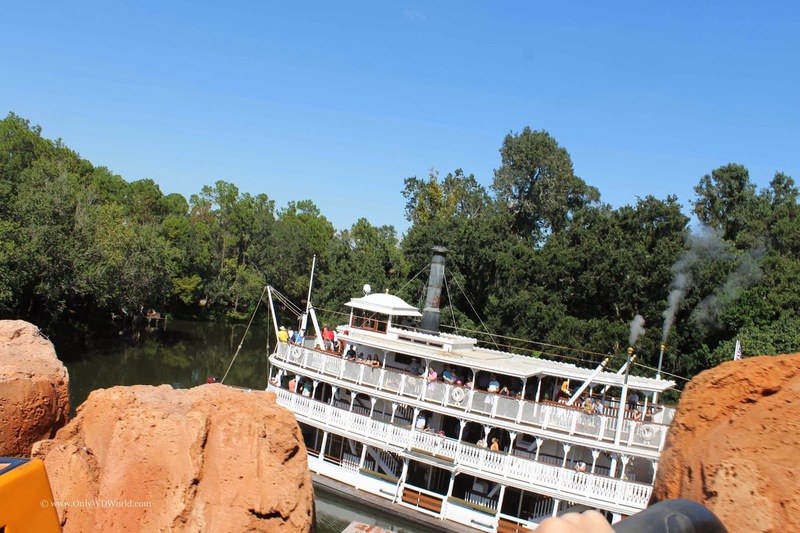 During this trip we caught a great shot of the Liberty Belle cruising the Rivers Of America. 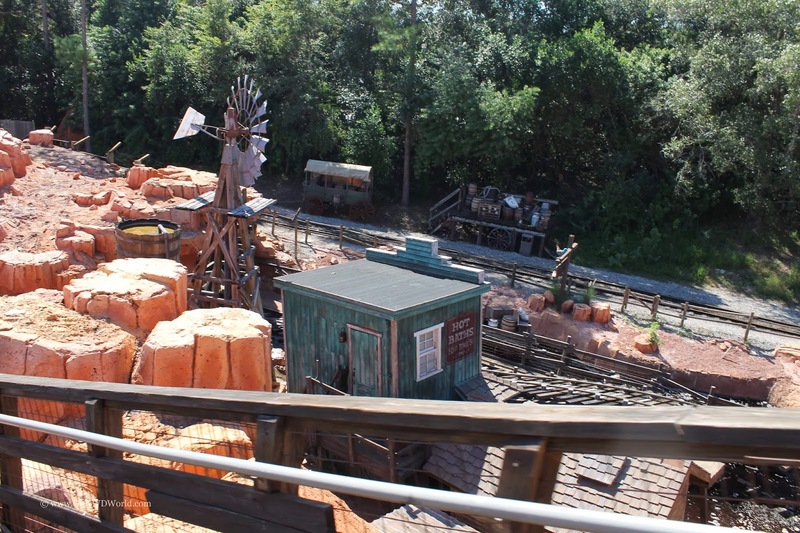 One of the features that makes Big Thunder Mountain Railroad a fun roller coaster is the fact that it has many high speed turns. 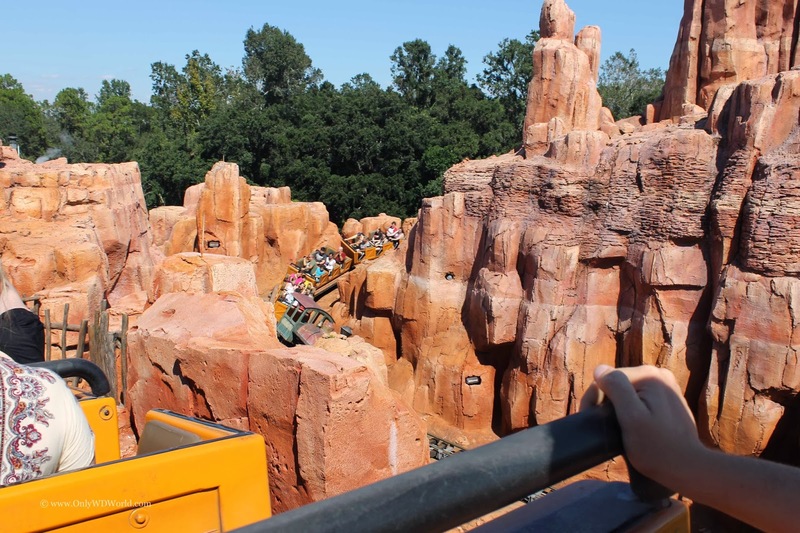 Great for a thrill ride, but hard to hold onto your camera and take a picture in focus. 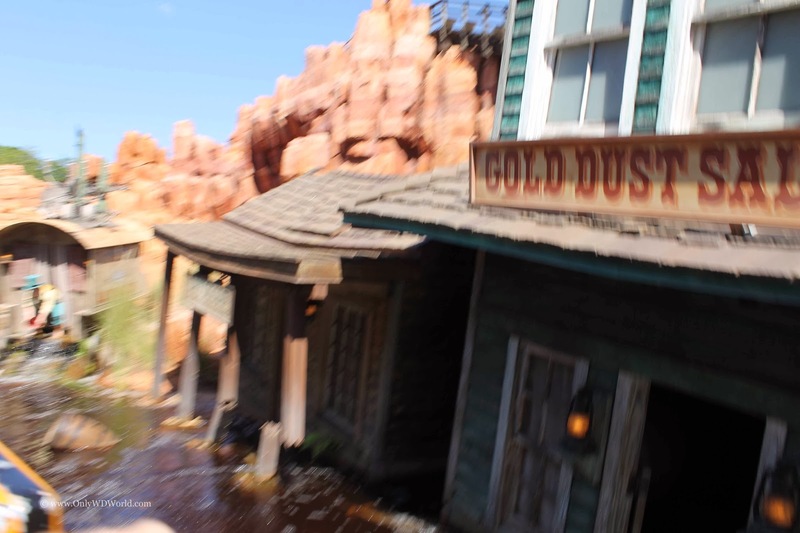 Of course as luck would have it, the clear shot is the one where the town is not centered, and the shot that shows the flood is slightly out of focus. 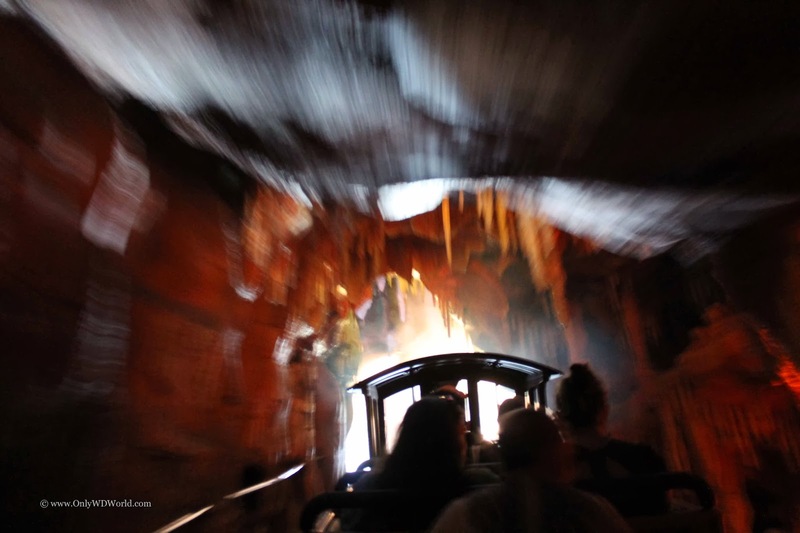 The ride moves so fast it is hard to get a complete understanding of the story that is being told. It takes several times to notice all of the details that exist. 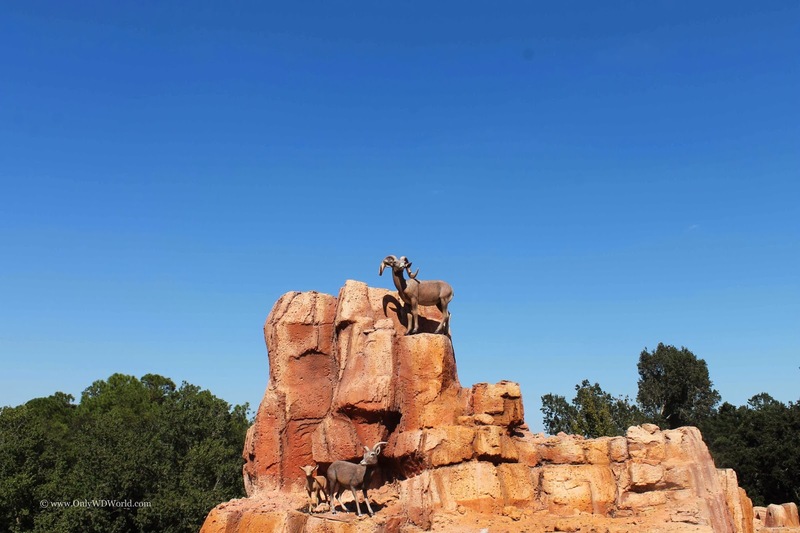 You also want to take note of all of the animals that there are to see, like the big horned sheep and the burros. 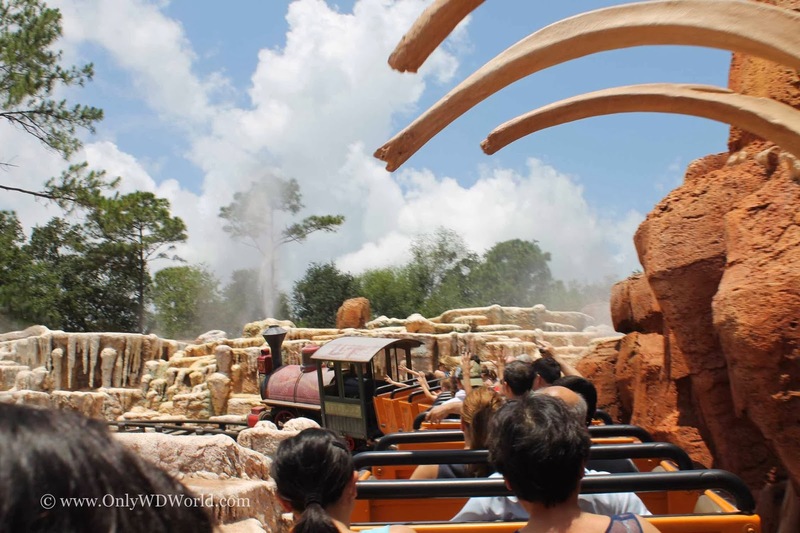 The ride ends up heading into the geyser fields with the dinosaur remains. It feels a bit like Yellowstone National park. 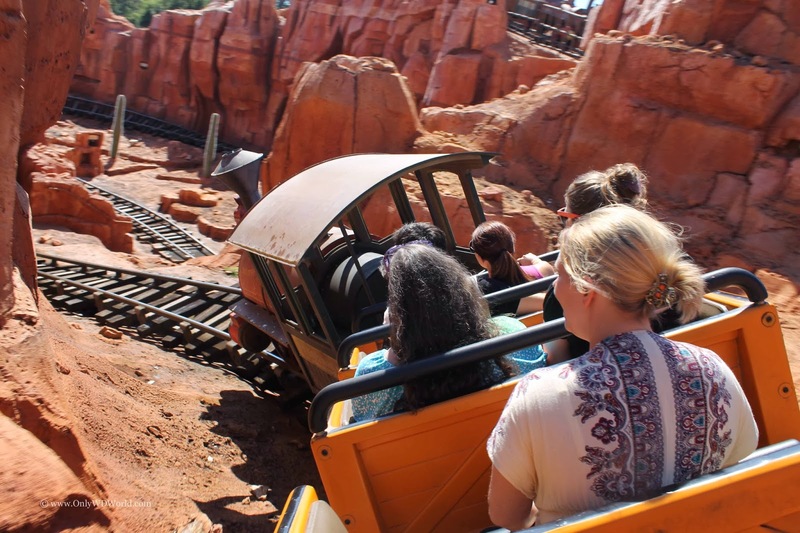 On your next Disney World Vacation, make sure you take in the sights of the Big Thunder Mountain Railroad! 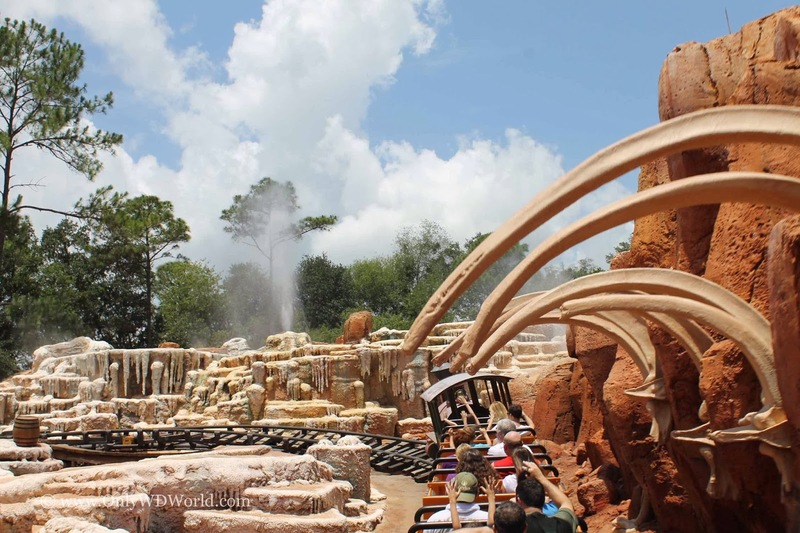 0 comments to "View From Big Thunder Mountain Railroad At Disney World"